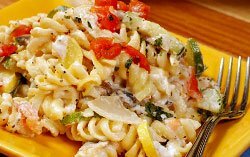 Rotini is a spiral, cork-screw shapped type of pasta – similar to fuscilli. It is often used in casseroles, cold salads and soups. You can also find it in spinach and tomato varieties, which are green and red in color. 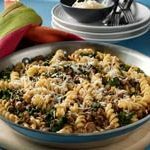 These recipes using rotini pasta include nutritional data to make it easier to plan your meal. 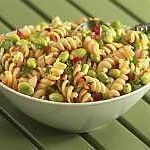 Recipe for Pasta Salad from our Salads recipe section. 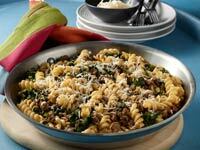 Recipe for Pasta, Pork, and Portobello Mushroom Salad from our Salads recipe section. 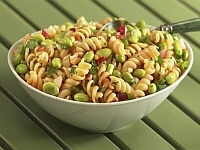 Recipe for Garbanzo Pasta Salad from our Salads recipe section.